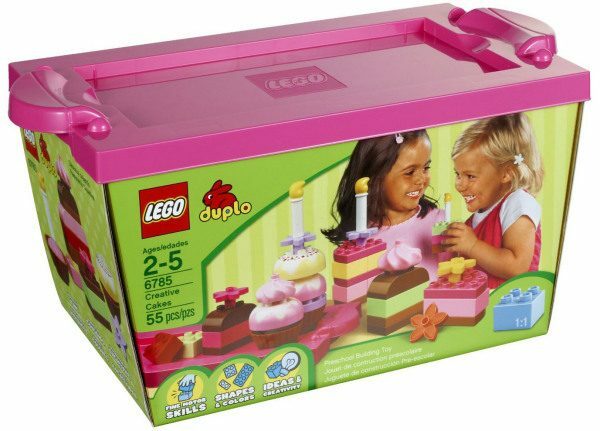 LEGO DUPLO Creative Cakes Set Only $19.99 + FREE Prime Shipping! You are here: Home / Great Deals / Amazon Deals / LEGO DUPLO Creative Cakes Set Only $19.99 + FREE Prime Shipping! Here’s a fun gift idea for all of you with little ones! Right now, you can pick up the LEGO DUPLO Creative Cakes Set for just $19.99 (reg. $24.99)! And, you’ll get FREE shipping with Amazon Prime or Super Saver Shipping! My daughter LOVED LEGO DUPLOS when she was younger, and she would have LOVED this set! It looks like so much fun and like it will entertain your kiddo for hours!